Same photo shooting problem with the other holiday dishes…. I was only able to take a photo while I was cooking and not before serving. I wanted veggie dishes with the meat and was looking for simple recipes but with a little kick. I found this recipe for carrots at My Little Expat Kitchen and loved it. You know how guests are. They would never be happy with raw or just boiled carrots but they had these carrots happily and earned their dessert! For 14 adults and 6 kids, I, of course, tripled the recipe. I had twice as many carrots as you see in the pan. How to make: Peel and wash the carrots. In a bowl whisk the mustard with the honey and lemon juice. 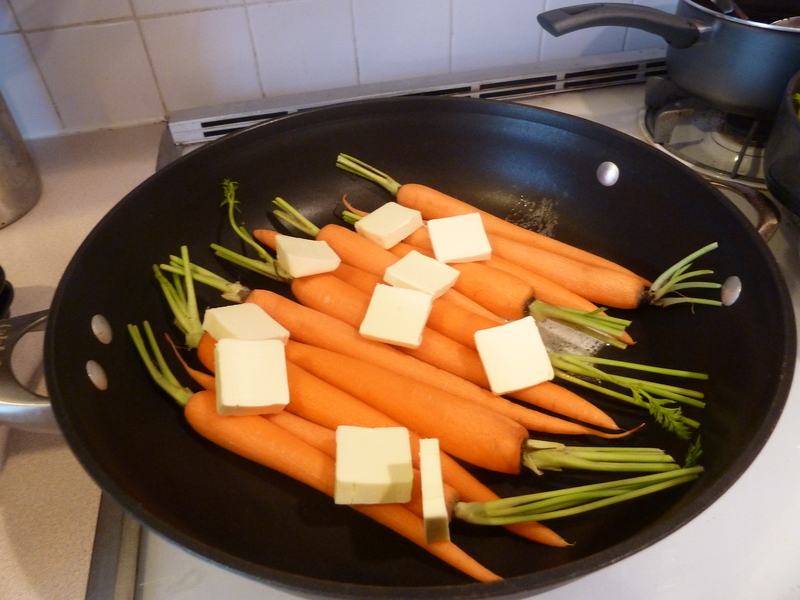 Arrange the carrots in a big pan (do not crowd them). Add the butter and turn the heat to medium. When the butter is melted, add the honey-mustard mix and cook for about 20 minutes, turning sides mid-way. Serve with drops of pan juices and lemon zest. I’m so glad you liked the recipe and that your guests enjoyed the carrots. Καλή Χρονιά και ό,τι επιιθυμείς! Thank YOU for sharing it! I love your recipes and the quality of the photos on your blog is beyond professional! Καλή χρονιά και σε σένα.